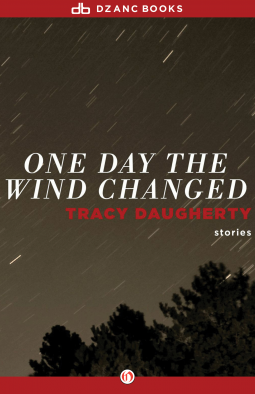 One Day the Wind Changed by Tracy Daugherty is a collection of short stories, some previously published in professional journals. Daugherty was born in Midland, Texas and is the author of three other collections of short stories, two biographies, a book of essays, and four novels. His work has appeared in The New Yorker, Vanity Fair, Southern Review and many journals. Currently he is a Distinguished Professor of English and Creative Writing at Oregon State University. Stories range from a Dallas Planetarium struggling to keep its funding, A Very Large Array (radio astronomy) in the desert, and an older man from Texas, now living in New York City. The wind changes in all our lives and that theme is carried through the book. The Murrah bombing is mentioned in a few stories and the changes that parallel in people’s lives. Changes in New York City after 9/11 run parallel to changes a middle aged man is learning about himself. There are changes seen from leaving home and returning years later. Changes in relationships. The common theme through out is that change is constant but sometimes we have to take time and stop to see it. Daugherty captures changes in people’s lives in a variety of settings with the Southwest as a constant theme throughout the book. His use of Dallas in several stories caught my interest. From Southern Methodist University, Mockingbird Avenue, and the airports, Dallas seems to come to life. The use of the desert provides a stark contrast to the changes people experience in the stories. The desert is unchanging. Even rain cannot change the desert for more than a few moments. This collection of stories, tied together with common themes, is a hit. So few collections of short stories seem to work for me; this one does. An outstanding collection of short stories and a collection I will keep to read again. 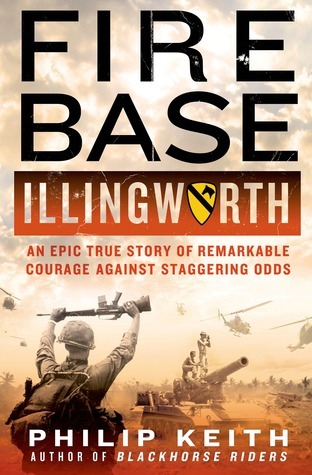 Fire Base Illingworth: An Epic True Story of Remarkable Courage Against Staggering Odds by Philip Keith is the story of the men who defended Fire Base Illington on April 1, 1970. Keith earned a degree in history from Harvard and worked on a master’s at the Naval War College. He joined the navy and became an aviator serving three tours in Vietnam. Keith remained in the navy reserves and attained the rank of captain. He has written eight other books including Blackhorse Riders, his first Vietnam book. Vietnam was a war where nothing seemed to work for America. A superpower picking up where France had failed waged a new war against communism. What America did not understand, Vietnam really didn’t care about waging a philosophical war. It wanted its independence and that provided a strong will to fight. Western nations had a difficult time giving up the idea of empire, and communist nations saw a place to expand their influence. Vietnam was caught between these forces. The strategy of fire bases was to bring the war to the North Vietnamese. They were meant to disrupt supply lines and engage the the enemy on America’s terms. Fire bases were set up to attract the enemy attention and bring force to force confrontation. From my time as a Marine, I understood fire bases to be well fortified bases on easy to defend terrain such as hilltops. The army’s 1st Cav Division decided to modify this plan. They planned to make fire bases very temporary bases and to keep moving them in effort to frustrate the Vietnamese. Fast moving fire bases where not nearly as fortified as their predecessors which presented a definite security challenge. Fire Base Illingworth experienced these security concerns as well as a self inflicted security concern in the form of forty tons of 8” artillery shells. Although the fire base had 8” artillery, forty tons was more than a bit excessive and made an attractive target for the North Vietnamese. The fire base succeeded in its mission to attract the Vietnamese and bring head to head confrontation. The confrontation happened just hours past midnight on April 1, 1970. The soldiers of a lightly fortified Fire Base Illingworth met a well armed and experienced North Vietnamese force. Keith gives nearly a minute by minute account of the battle. He uses the experiences of the soldiers who fought the battle to tell the story of how fighting and some luck, both good and bad, played a role in the outcome of the battle. Artillery, infantry and cavalry soldiers tell their story and Keith uses the accounts of the North Vietnamese Colonel Lai to help explain what both sides experienced. The battle account moves quickly and highlights the heroism of the American defenders. There is an introduction to the battle that includes a biography of Illgworth and strategy and equipment being used in the war. The epilogue gives a biography of individual soldiers involved in the battle and the fire base including Colonel Lai. Biographies are also given for those who did not live through the morning. Keith writes and outstanding history that brings to the reader the heroism, frustration, futility, and perhaps even the madness of the entire war. An excellent read. 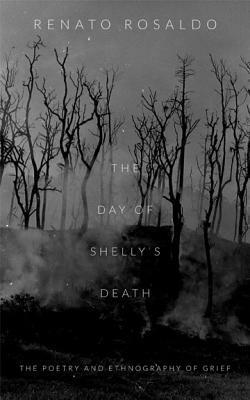 The Day of Shelly’s Death: The Poetry and Ethnography of Grief by Renato Resaldo is one man’s account of the death of his wife while in the Philippines. Resaldo is a graduate of Harvard and professor emeritus at Stanford. He currently teaches at New York University. Rosaldo is a a leading cultural anthropologist with several published books including Ilongot Headhunting: 1883-1974: A Study in Society and History published in 1980. He was conducting further field research when he lost his wife in an accident. His wife, Shelly, also an anthropologist studied the Ilongots. They were working together in country with their two sons in 1981 when she became victim to a tragic accident. The Day is a book the center mostly on a single event and a single day. The day Resaldo lost his wife: October 11, 1981. The collection of poems are moving and heartfelt. Resaldo not only tells his story but tells the story through the eyes of others who were involved both before and after the event. He recalls the coin toss that fateful day. One of their children was sick and he and Shelly tossed a coin to see who would stay back with the children. He stayed. The pedal taxi driver who who offered him a ride as a gift when he heard that Shelly died. There is a poem where his children tell their experience. The cliff where Shelly fell also writes of the experience. Resaldo writes all these views and puts them into free verse. The verse is not always free flowing, but seems halting at times, like someone talking through a very emotional event. It is, but it is also reflecting the poetry writing years later. The Philippine natives speak as English is their second language. This is also captured very well in the poetry with with noun and verb agreement and placement. Resaldo does an excellent job capturing the environment and the people; that should come as no surprise for a leading anthropologist. Each chapter begins with a simple introduction followed by the poems. The second part of the book is an essay called “Notes on Poetry and Ethnography” in which Resaldo explains why and how he came to write the poems. In addition the reader will gain some education on ethnography and how it is used in the book. This collection may not give the flow and feel of traditional poetry; it is not Wordworth or Keats. It does, however, accomplish what poetry is meant to accomplish: It recreates the day. The feelings of the author. The feelings of the people directly and indirectly involved in the event. It creates powerful experiences using words and makes the reader experience these emotions. All in all an outstanding work and a tribute. 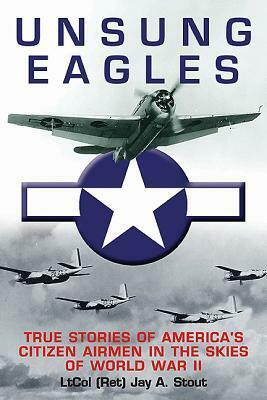 Unsung Eagles: The True Stories America’s Citizen Airmen in the Skies of World War II by Jay Stout is the story of the common men who answered the call of duty. Stout is a retired Marine Corps Aviator who flew F-4 Phantoms and later F-18 Hornets. A graduate of Purdue University he was commissioned in June of 1981 and retired a Lieutenant Colonel in 2001. With 4,500 flight hours and thirty-seven combat missions missions in Operation Dessert Storm, Stout knows his aviation. Unsung Eagles gave me three surprises. First, looking at the cover I thought another book about the Army Air Corps in Europe. It’s not. Stout covers both theaters and Army, Navy, and Marine pilots. Second, I thought its going to cover famous raids. Again, no. The book covers a wide variety missions and none that stood out as famous air battles or bombing missions. The third surprise came after the realization of the first two surprises. Who would write about the “average Joe” pilot? Who else but a Marine. Of course, I am a bit biased in that last statement. Unsung Eagles does what few war time books have done. It highlights the men who joined the war to fight. Men who left their homes and families and signed up, not the professional airmen. Many joined, and when the war was over quietly went on back to the civilian world leaving the military behind. These are the men whose uniforms are put away deep in a closet and never talk about the war except when prodded after a few beers. Twenty-two such pilots have their stories told in this fast paced history. The stories told, show all sides of the war from good deployments with plenty of support to cannibalizing planes to keep as many flying as possible. One absolutely amazing story is of a USAAF bomber pilot found himself flying in the dark behind two Japanese bombers and followed them in their landing pattern. The Japanese mistakenly assumed that the American was one of their own and proceeded to land. As the Japanese landed the American dropped his bombs on the Japanese planes and runway. Unsung Heroes tells some fine stories of American pilots who you probably never heard of, flying missions that aren’t in very many history books, but still were very important in the Allied war effort. There were over a half million aircrewmen who served in World War II. This is a staggering number, it is more than twice the number of Marines serving when I was on active duty. Unsung Eagles is an outstanding history, and a personal history too. It is a reminder that not everyone who flew is recorded in history and that many who served then and now made important contributions that few will ever know about. Very well done. Semper Fi, Colonel. 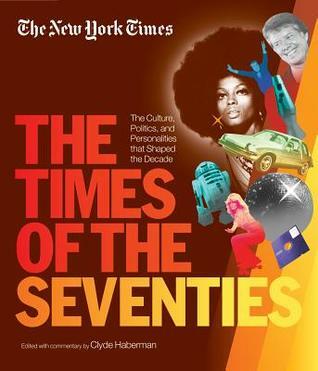 The New York Times, The Times of the Seventies: The Culture, Politics, and Personalities that Shaped the Decade, edited by Clyde Haberman is a three hundred and sixty page pictorial history of the the 1970s. The decade unfolds in New York Times articles and pictures. It is an amazing decade put into a heavily illustrated book. It was a decade of very high highs and low lows. 18 year olds got the right to vote, but still were forced to die in Vietnam. Capital punishment was declared unconstitutional, but four died at Kent State. We lost a vice president and a president to resigning in the face of criminal charges. We had our first president, who was not elected. Women were more than movie stars (and Farah): Eva Peron ran Argentina. Patty Hearst, kidnapped, then became a bank robber. Squeaky Fromme tried to assassinate Ford. Margret Thatcher was the prime minister of Britain. Mother Theresa won the Nobel Peace Prize. Minorities rose. Hank Aaron broke Babe Ruth’s home run record and OJ Simpson became a hero in that decade. World events were televised and in most people’s living rooms. We saw violence in Vietnam and Cambodia. We watched he IRA reign terror in Ireland and saw the bodies in Jonestown. Francisco Franco died and Chevy Chase reminded us weekly on Weekend Update that he was still dead. Adi Amin rose and fell in Uganda. Mao died after opening relations with the United States. The first Polish pope was elected after a very short reigns of the previous two. Memories come flooding back to me : Gas lines, Stagflation, Visa becomes a credit card. Star Wars. Earth Day, Serpico, Studio 54. Walkmans, DTT ban, Space exploration. Polaroids, Three Mile Island, test tube baby, Pentagon Papers, All the Presidents Men. Hendrix, Elvis and Morrison died. Punk Rock came alive and Sid Vicious died. Jaws, Rocky, and the Deer Hunter. Monday Night Football, The Waltons, Happy Days, Roots. Andy Worhol, Platform shoes, Perrier, Light Beer. Roller disco, jogging suits, leasure suits. Mohamed Ali, Nadia Comaneci , Renee Richards. There is a tidal wave of memories in this book and I only scratched the surface. 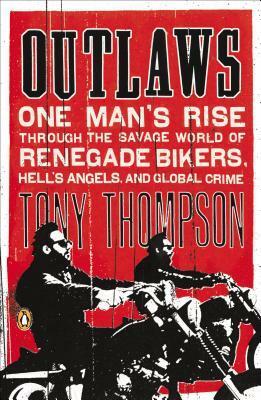 Outlaws: One Man’s rise through the Savage World of Renegade Bikers, Hell’s Angels, and Global Crime by Tony Thompson is an account of of one man’s experience in outlaw biker world. Thompson is regarded as one of Britain’s top true-crime writers and appears regularly on radio and television as an expert on crime. Previously, he was the crime correspondent for the Observer. I grew up on the southeast side of Cleveland in a very safe neighborhood with many immigrant families, some didn’t even speak English: only Polish. There was a clear dividing line where safety ended: Miles Avenue. Right on the boarder, just past the Harley Davidson shop, spray painted in large letters, high on a building facing Miles Avenue, was a sign reading “God Forgives, Outlaws Don’t”. I never gave it much thought, the bikers were always “cool” with me, the paperboy. I grew up almost never seeing a police car in our neighborhood. It was peaceful. When a fire broke out in a house down the street, the house was quickly surrounded by bikers… manning hoses. The fire was out before the fire department arrived. That was the late 1960s through the mid-1970s. Things change: There was a war with the Hells Angels in the mid-70s, not in my neighborhood, but as the paperboy I read about it. The neighborhood is now barely recognizable. The Harley shop moved deep into the suburbs. Motorcycles were a big part of my life well into adulthood. I owned mostly Triumphs and worked for a Harley dealership while finishing up graduate school. I knew there was a much darker side to the outlaw biker clubs. Most people know that. Creating a safe neighborhood helps its public image and more importantly for the club, keeps the police away. Biker culture has been documented, by people like Hunter S. Thompson. It also has been sensationalized by the reporting at Hollister and the Brando’s role in The Wild One. Thompson’s book does something that really hasn’t been done since Hunter S. Thompson; it gives an insiders view not just of a local club but a world view. Although, centered on a English club formed by several small clubs coming together for their own protection. The book is based on the real life experiences of Daniel Boone. Outlaws covers three continents and the internal and external politics of the major biker clubs as international organizations. The Outlaws (both British and American would eventually combine), The Hells Angels, The Mongols, The Pagans, The Banditos, and local English clubs are all included in the book. The story telling is outstanding and vivid. There were a few times that I thought I wanted to get back to that movie…uh book. Reading it gave the impression that I was actually seeing the events, something not very common in nonfiction. Thompson, through Boone captures the good and the bad of the the biker culture and it’s growth and increasing criminal involvement. It goes inside the rules of the clubs and the relations between different clubs. It also goes into the day to day life of the bikers themselves. An outstanding read and will show the reader the difference from the weekend Harley dress-up rider and an outlaw biker. It goes deep into a society that is closed off to most people. Simply an outstanding read. 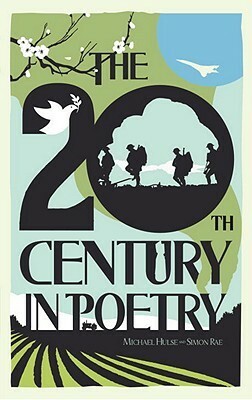 The 20th Century in Poetry is an anthology of the poetry describing the 20th Century. With a degree in history and another in international relations I looked forward to reading this collection. I have always liked to see how other fields see history. Art history of the 20th Century is an amazing reflection of the culture. Art Deco completely captures the 1930s. The Pop Art of the 1960s captured that decade’s spirit: from Andy Worhol to the style Janis Joplin’s Cheap Thrills album cover. Many times you can look at the art and know the decade and the origin. I am sure poetry could do the same. I did have one condition in a poetry collection of the twentieth century. It had to have on poem that I felt was, historically, a very important part of the 20th century*. Historians look at the 20th Century a bit differently than the calendar shows. Historians start the century at the start of World War I, the official end of the 19th century world view. The century not only starts late, but ends early too. The fall of the Soviet Union closes the book on the 20th Century for most historians; the beginning of “The New World Order” and “Peace Dividends.” 20th Century in Poetry takes the reader year by year from 1900 through 2000 with at least one poem from each year. It further divides the poems into sensible groupings. From the innocence of Thomas Hardy “The Darkling Thrush” to the great sadness of Wilfred Owen’s “Anthem for Doomed Youth.” From Robert Frost’s “Acquainted with the Night” to Jeffrey Harrison’s “Sketch”. From Alan Ginsberg’s “America” to Bob Dylan’s “Blowing in the Wind”. From John Updike’s “Seven New Ways of Looking at the Moon” to Jeffrey Harrison’s “Pale Blue City”. The highs and the lows of the 20th century are all recorded by the eyes and words of the poets of the time. This is a suburb collection of the the full range of the 20th century. Usually I will keep my poetry in paper, but the selections are so good and so vast, that it makes an excellent ebook. Not many people will sit and read this through cover to cover and it wasn’t meant to be read that way. Pick a year or a couple of years and enjoy. Keep it on your reader or your phone and when you have a few minutes pick a poem or two, you won’t be disappointed. Of course if you do read it cover to cover, you will get a detailed history of the 20th Century: The events, the people, the achievements, the failures. Perhaps the reader will see that we, as a whole, in this century we have not learned from our previous failings and not learned from advances. A collection like this makes an excellent barometer for where we are and where we are heading, as a people, in the twenty-fist century. Five Stars.